"The A Time to Heal information, exercises, and group support have allowed me to continue healing in ways I had not anticipated." 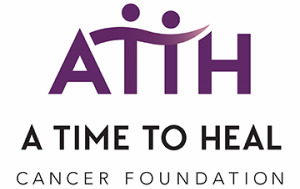 A Time to Heal Cancer Foundation is a 501c3 non-profit organization founded in 2005 by Dr. Stephanie Koraleski and Dr. Kay Ryan. Our signature class is Survivorship 101. For patients with any type of cancer and their caregivers, this course provides support, education, skills and strategies so survivors can create their best lives after cancer diagnosis and treatment. Based in research, a series of free weekly classes focus on a variety of topics and relaxation techniques, while offering interaction with other cancer survivors and caregivers. Results show Survivorship 101 increases hope, resilience quality of life, and happiness, while decreasing depression and anxiety. Since 2005, research has been conducted to determine the effect the program has had on participants. Five different measures of physical, psychological, emotional and spiritual wellbeing are used. Participants show no significant change before beginning the program. At the end of the 12-week class, participants have improved significantly on all 5 of the measures and the gains are maintained at a 6-month post-program follow-up. Participants see increases in hope, happiness, quality of life, and resilience and decreases in depression and anxiety. Bring the 12-week Survivorship 101 Class to your area! We hold Facilitator Certification Training 1-2 times annually for those interested in bringing the A Time to Heal Survivorship 101 classes to their area. 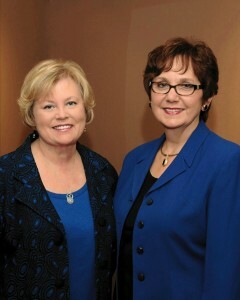 A facilitator team consists of 2 or more people, including one medical professional and one mental health professional. In some of the most remote communities we have found reasonable alternatives to this requirement. The next training will be held in Spring/Summer of 2019; details will be on this page when available. Training for individual sites can be brought to your area upon request. To learn even more about bringing A Time to Heal to your area, please contact Executive Director Rebecca Vinton at rebeccavinton@atth.org or 402-401-6083. We hold a Facilitator Retreat annually to update current facilitators on new information, and to renew and refresh your commitment to A Time to Heal. Attending the retreat serves to re-certify you as an A Time to Heal Facilitator.